The raspberry is a summer fruit eaten from June to September. Raspberries contain fewer calories than most other fruit (38 kilocalories per 100 grammes). An ideal, light way to end a meal their low acidity and mineral density makes raspberries a dessert to privilege. 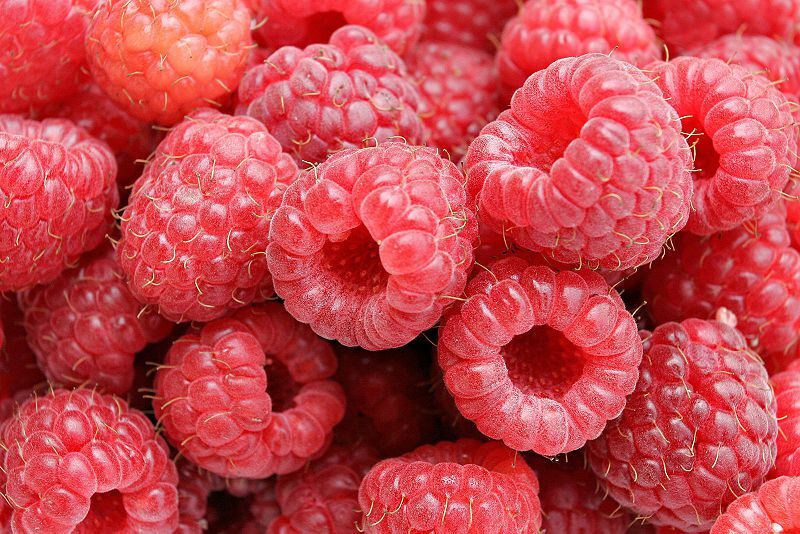 Raspberries also contain vitamins E and C and antioxidants. Raspberries facilitate digestion. There are double-cropping species (two harvests per year) such as the Blissy variety, and single-cropping varieties (one harvest per year) such as the Malahat variety. There are varieties of black, red, orange, yellow, amber and white raspberries. Keep raspberries in their packaging for no longer than two or three days. Raspberries are very fragile and lose their freshness quickly, even in the vegetable crisper in the refrigerator. Avoid washing raspberries as this may soften the fruit. Raspberries do not ripen after they are picked, so choose raspberries that are already ripe.